The late Sir Fisher Tench, Bart, having given very particular Funeral directions for his Interment on Tuesday the 9th of November. About Three in the Afternoon his Corpse was carried through his fine Gardens and Grounds adjoining (as directed in his Will) to Low Layton Church in the following Manner First Six Conductors in Black Gowns and Scarves with Staffs. Then six poor Boys leading as many poor Girls all cloathed in dark Grey with Black Hatbands and Gloves; these had five shillings a Piece given them, also a Bible with a Common-Prayer Book which they carried under their Arms. Then six old Men leading as many old Women who were cloathed as the Boys and Girls; to each of these were given ten Shillings and a Book entitled The Whole Duty of Man which they carried under their Arms. Then the Clerk and two Clergymen. Then came the Corpse of the Deceased in a Coffin with Black Velvet with a gilt Plate (expressing that he died October 31 Aged 63) borne by six poor Men, covered with a Pall of Black Velvet. Sir Nathaniel Tench Bart, his only son followed as chief Mourner. Then fourteen Servants of the Deceased seven Men and seven Women walked two and two in deep Mourning. 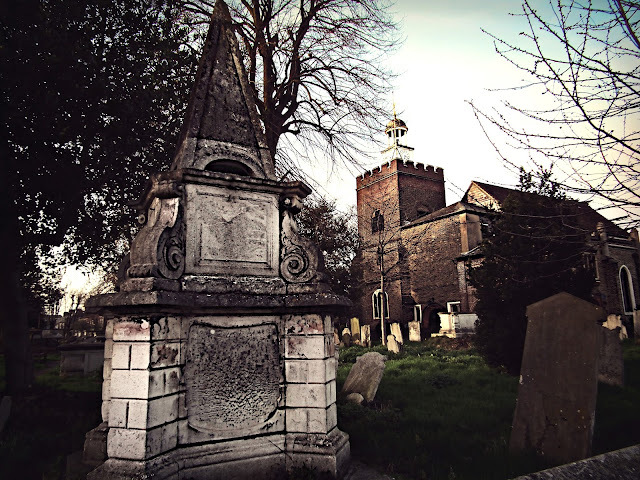 Then ten Tradesmen who served the Deceased walked two and two in Black Cloaks, Hatbands and Gloves, and they closed the Procession; and the Corpse was interred a little after Four in the Family Vault on the west Side of the Church yard and Tomorrow a Funeral Sermon will be preached at Low Leyton Church. 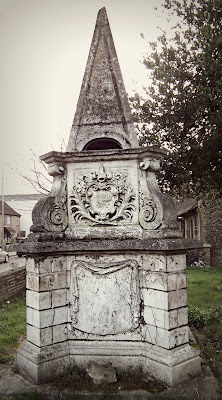 Sir Fisher left instructions and 10 Guineas in his will for the preaching of a funeral sermon based on Ecclesiastes 2.4; ‘I made me great Works, I builded me Houses, I planted me Vineyards, I made me Gardens and Orchards and I planted Trees…’ (The London Magazine of November 1736 commented "Words exceedingly applicable to the house and gardens of that gentleman at Low Layton, which are reckoned among the most elegant in the country; & at the same time most beautifully set forth the vanity of all sublunary enjoyments.") As well as the day after the funeral, the sermon was to be preached on the following Sunday ‘by the Rev Mr Capoon but he not coming down as was expected a Clergyman in the Neighbourhood did the Duty of the Day but the Sermon was not then preached though there was a very numerous Congregation assembled to hear the same…’ observed The Political State. 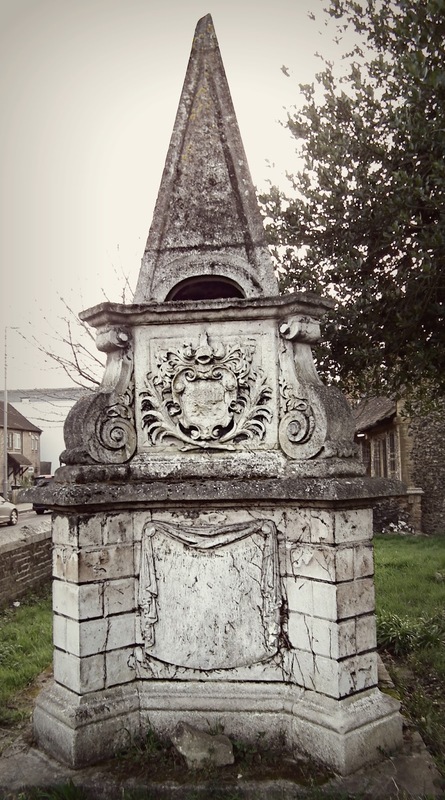 In the months following the funeral his son raised the now grade II listed Portland stone memorial over the family vault that dominates the view of the churchyard from the street. Whilst always claiming never to believe them Gunn deigns to repeat every scrap of local lore relating to the Great House. This includes stories of Sir Fisher imprisoning highwaymen in the cellars of the mansion and hanging them from the trees in his magnificent garden (“probably….an elaborated traditional version descriptive of his shrieval duties” he speculates). If lifelong involvement in slave trading and slave owning, helping to create the South Sea bubble and gossip of hanging highwaymen wasn’t enough, his sullied reputation suffered further blows as one of the managers of the Charitable Corporation, a semi-philanthropic concern, which lent small sums to poor persons on pledges at legal interest to avoid them turning to pawn brokers and money lenders. Sir Fisher’s second son William became the Corporation’s cashier and was implicated when a scandal broke involving the broker George Robinson. The crooked broker extracted money from the three directors of the company, ostensibly to lend to the worthy poor but in reality to cover the director’s heavy losses on the stock market (said losses all having been incurred following the advice of George Robinson, of course). William died unexpectedly in 1731 and so escaped having to account for his actions to the select committee to investigate the scandal set up by Parliament in 1732 and chaired by Samuel Sandys. Sandys, to the surprise of many, exonerated Sir Fisher of all blame saying that he was ‘not justly to be censured’ for his dealings with the Corporation. John Perceval, the Earl of Egmont, probably reflected widely held opinion when he commented in his diaries that although Sir Fisher left the Corporation when he found evidence of irregularities he ‘suffered his son to remain cashier till his death who was guilty of frauds’, and that he must have known ‘of his son’s roguery, because he affirmed in a gentleman’s hearing that his son’s employment as cashier was worth him £600 a year, though his salary was but £150; and further that Robinson gave his son £100 a year, which could not be but that he might abet Robinson in his rogueries’. Following the scandal and William’s death Sir Fisher retired from public life and was dead himself after just four years of retirement at Leyton. He was succeeded as Baronet by his surviving son Nathaniel but not for long; within a year bachelor Nathaniel was dead himself and with him the short lived baronetage of Low Leyton. The epitaph contains the only details we have of George Pompey’s short life. Whether he was born into slavery or a kidnapped African we don’t know. 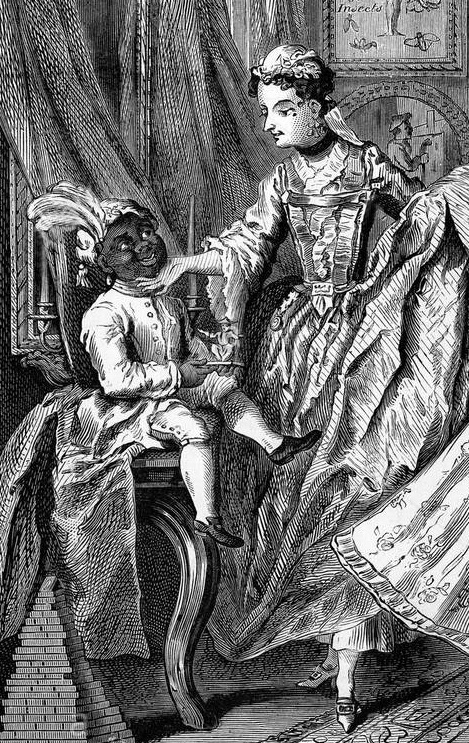 He may have come from the Virginia plantation but equally he may have been acquired by the family in some other way – black servants were fashionable signifiers of wealth in Georgian London. To have been a house servant almost certainly meant that he had been chosen for the role as a child as we can see here, George can only have been 12 when he came to work for the Tenchs if he was to fit in 20 years of service in a lifespan of just 32 years. The position of black servants in England was ambiguous; they were politely referred to as servants implying that they were free agents but most of them were slaves in reality, unable to live as free men and totally dependent upon their masters. Household slaves in England and in the colonies were often give classical names drawn from Shakespeare or other sources, and Pompey was a particularly popular choice. Like the family hound, the most prized quality of a black, was their loyalty. Piety was another prized quality. Could Sir Fisher really have believed that the dying black man’s only concern was the prospect of death parting him from his master? And that he really was ‘so good a master’?